Jeg har fået den ære at hoste den første låge i Microsofts julekalender. Så for lige at forklare reglerne er det helt enkelt at jeg stiller en opgave, som jeg har valgt er i form af et spørgsmål. For at deltage skal du blot besvare spørgsmålet inden midnat i en email til christian@dotnetnerd.dk. Præmien til dagens vinder har jeg også fået lov at vælge, og det er blevet til en WD TV HD Live box. Jeg vil imorgen poste hvem vinderen er her på sitet, og give besked tilbage til Microsoft der sender gaven til den heldige og dygtige vinder. Hvilken sætning forbinder man både med afvisning af håbefulde skuespillere i Hollywood og DependencyInjection? First steps with .NET Compact Framework – not that bad at all! Over the last couple of weeks, I have been working on new features for a PDA application which is build using the .NET Compact Framework. It’s the first time I have worked with the framework, and the first things I heard were not too uplifting. Jokes about it basically being a wrapper around NotImplementedException do make you wonder just how painful it will be. I have to say though that it has actually been a pretty good experience so far! Maybe having the bar of expectations set just above groundlevel to start with makes it easier to make me happy – who knows?! I can conclude that debugging and deploying to the device has been smooth – just plug it in, press debug and you have all the usual debuggy goodness that Visual Studio provides. The challange with .NET CF is that when making the framework smaller Microsoft really went in hard, so you will have to find alternate ways to get stuff done. 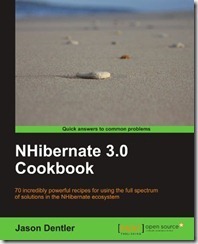 A few weeks ago we got a copy of the NHibernate 3.0 Cookbook by Jason Dentler, which I was really looking forward to because of the scattered nature the existing documentation for NHibernate. The word Cookbook really says a lot of how the book is structured, and how it should be used. 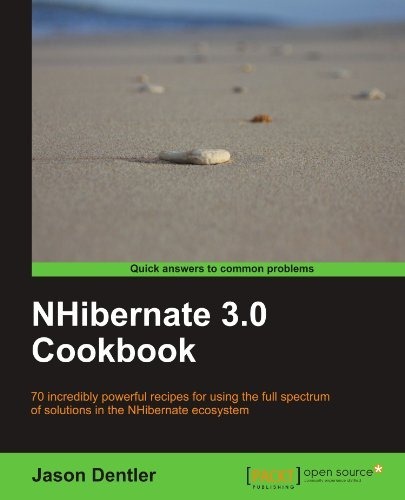 The book consists of a bunch of recipes on how to cook with NHibernate – terrible wordplay, I know, and I am sorry :) So basically it can be a good idea with a quick readthrough, and then it will serve as a place to look up solutions to various scenarios you will be dealing with when using NHibernate. If you are new to NHibernate you will of course also gain an overview of the different topics you need to know about and as an experienced user you might stumble upon some features you didn’t know about. 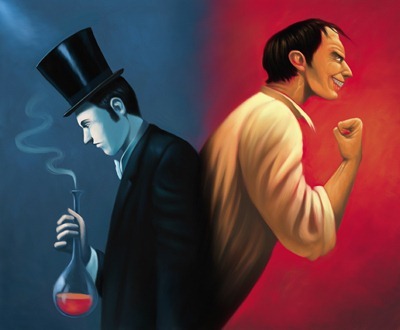 Split personality or two sides to every story? As of today we have started a blog at my company Vertica where I will start blogging along with some of my colleagues. So I highly recommend that you take a look – we have a great team of developers so I gurantee that there will be some interesting posts to find. The new company blog does not mean that I will stop writing here, but that I will write both places - and that some articles may be partially posted both places.